Showings start Monday April 1st. For the tool man in you, this house will become a home, and awaits your nod of approval, and that will come easily once you feast your eyes on this opportunity! 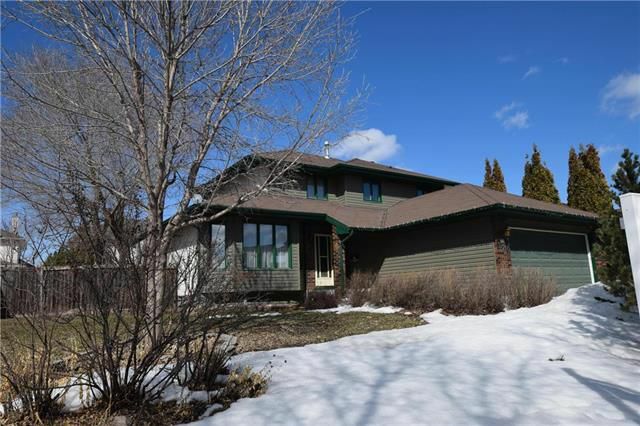 North Kildonan offers up this 3 bedroom 2 1/2 bathroom abode that shows off its 1825 square feet of living space nicely. You’ll need to paint, and pay attention to the flooring, and lighting. And a new furnace is in order as well. Throw in some general maintenance, and watch this house spring to its former glory! And such a nice floor plan! From the Living/Dining Room along with a main floor family room featuring a wood burning fireplace, you will just add your personal touches and voila! A large eat-in kitchen offers up oak cabinetry, and loads of space. And the master bedroom shows off his and hers double closets, along with a 3 piece ensuite. And step into that 3 season sunroom. With the warmer weather on our doorstep, its just a short time until many an hour will be spent out here. Not to mention the fully fenced yard that features a deck for entertaining. An unspoiled basement will have your creative side imaging every nook as your own. Now is the time to act on this, and come by for a closer look. Do the math on your reno’s and start the ball rolling today! A possession date of May 1st is not too far away! Offers will be presented April 8th.